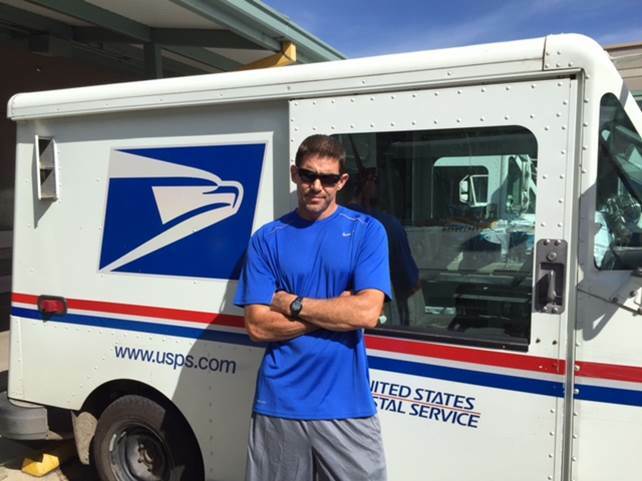 While delivering mail along his route, Louisville, CO, Rural Carrier Edward Wolf discovered something unusual. As he approached the home of one of his customers, he detected gas fumes surround the residence. Wolf attempted to warn the homeowners about the problem, but nobody was home to answer the door. 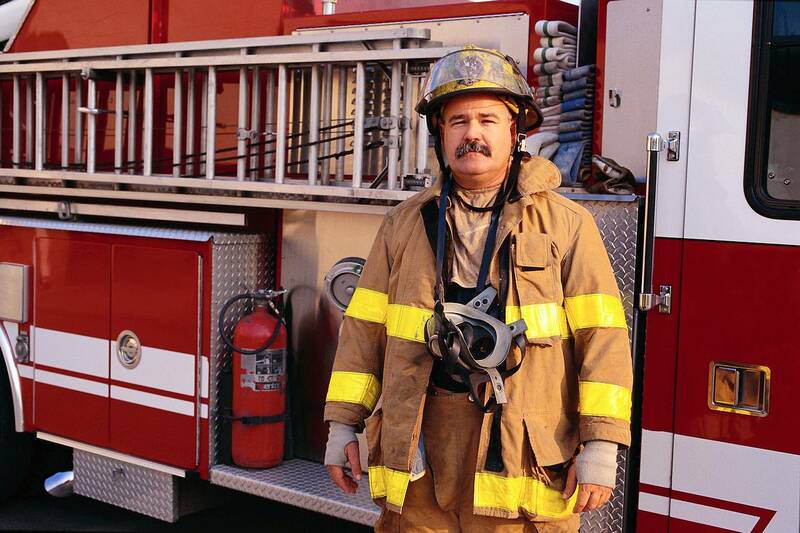 Knowing the potential hazards of the dangerous fumes, he dialed 911 and explained the situation. When emergency responders arrived, they discovered a major break in the gas line and moved quickly to shut off the connection. Shortly after the incident, the homeowners wrote a letter of praise to Postmaster Sandra Creek expressing their gratitude for Wolf’s actions in saving both their residence and the lives of their neighbors from a potentially deadly situation. 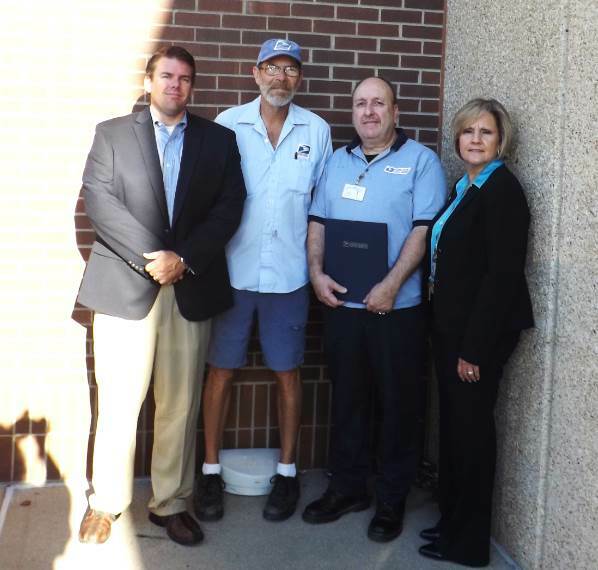 Kansas City Postmaster Jeff Drake, City Carrier Fred Green, Retail Associate Tom Murillo, and Mid-America District Manager Gail Hendrix. While delivering mail along his route recently, Kansas City, MO, James Crews Station City Carrier Fred Green began to feel ill. Unable to finish his route, he drove back to the station. Green managed to return safely, but he collapsed to the ground soon thereafter. 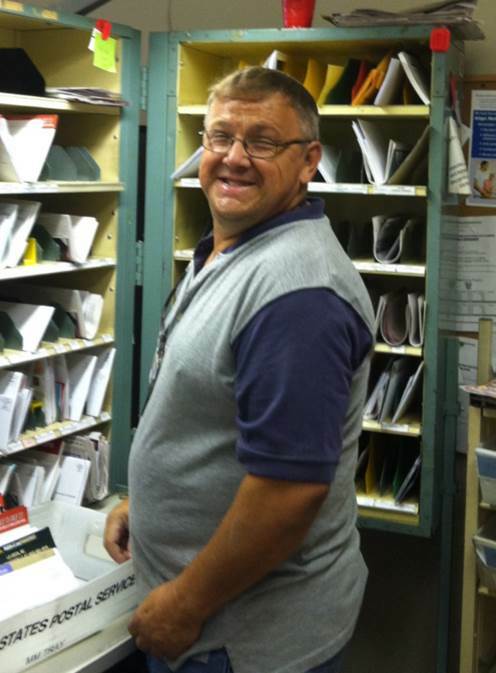 Retail Associate Tom Murillo rapidly moved to aid Green after his fall. Murillo has Cardio Pulmonary Resuscitation training and quickly assessed Green’s situation. Murillo’s evaluation of Green’s vital signs weren’t encouraging and he immediately began performing CPR on Green while other station personnel called 911. When emergency responders arrived, they took over the situation. Green survived his fall that day, and both he and his family are grateful for Murillo’s assistance. Mid-America District Manager Gail Hendrix and Kansas City Postmaster Jeff Drake presented Murillo with an official letter of appreciation from Postmaster General Megan Brennan for his heroic efforts to save Green’s life. Nobody knows exactly when or where a disaster may happen in the future, but while clairvoyance is unlikely, it is possible to plan in advance for a disaster. Now in its 10th anniversary, September is National Preparedness Month – a time to enhance awareness of the need to prepare for disaster before it happens. Preparation is often the most crucial element in properly dealing with disaster when it strikes. The steps taken today in assembling an emergency supply kit as well as planning and practicing an evacuation and communications plan can make an important difference when time is of the essence. For more information on National Preparedness Month and how to participate in disaster preparation, go to: http://www.ready.gov/september. One of the many benefits of a standard street address is receiving emergency help in the fastest amount of time possible. A location such as 1234 Main Street allows emergency responders to identify where a building is and helps them arrive more rapidly to render needed assistance. To aid in the quest for standardized addresses, one particular county in West Virginia is seeking to make all rural addresses within its borders easily identifiable. Coming this spring, Pocahontas County will be issuing new addresses to rural homes in an effort to convert to a new 911 system. The change is designed to bring transparency and clarity to police, paramedics, and firefighters in the event of an emergency. 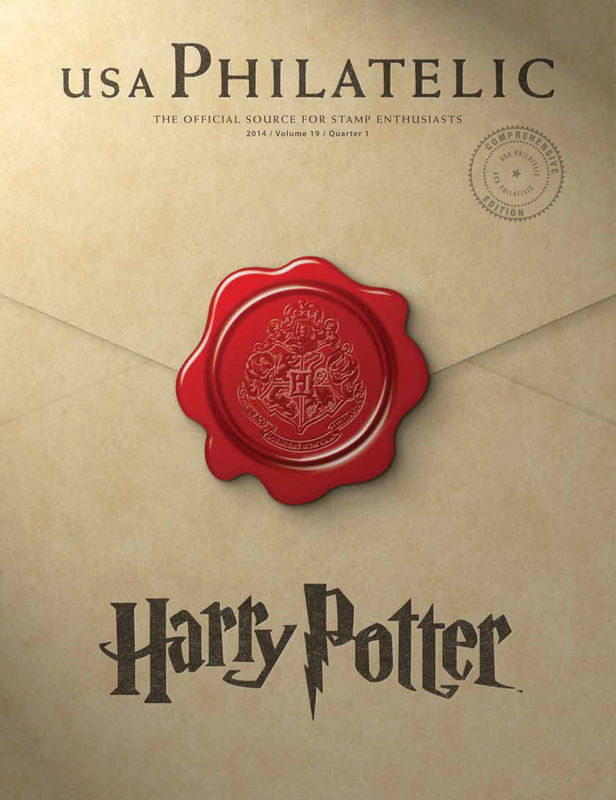 The new addresses will contain specific information that will act as a directional guide. An address such as 1234 Main St will be located 1.2 miles down Main Street on the right. This will not only take the guess work out of where a building is located, but will also allow it to be discoverable on GPS networks. Do you think the delivery of mail to rural addresses will benefit from the new address system?